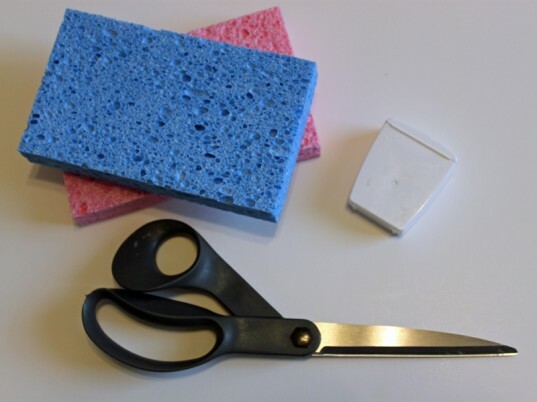 Cut each of the sponges into 6 long pieces – you can use either large sponges or small sponges depending on the size sponge water balls you want. 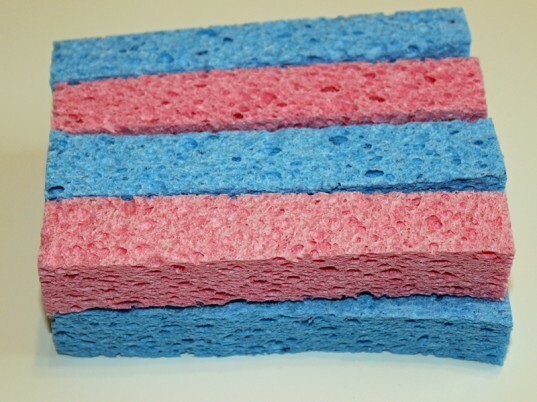 Stack the sponge pieces, alternating colors. 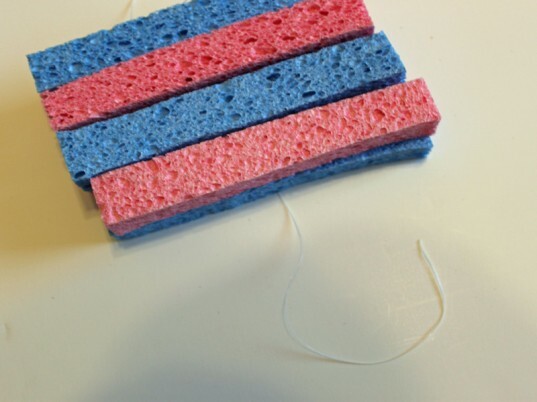 Tightly tie a piece of twine or dental floss around the center and tie in a tight knot. 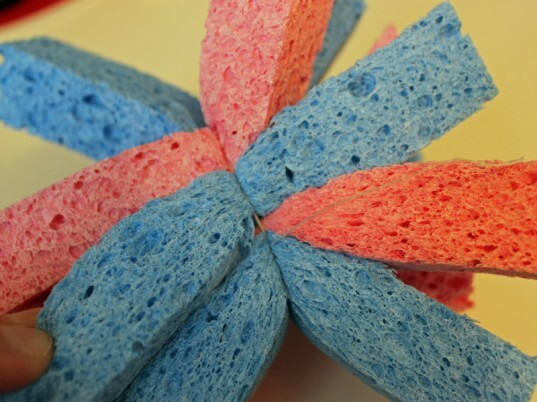 Pull and twist the sponge pieces until it forms a ball shape. 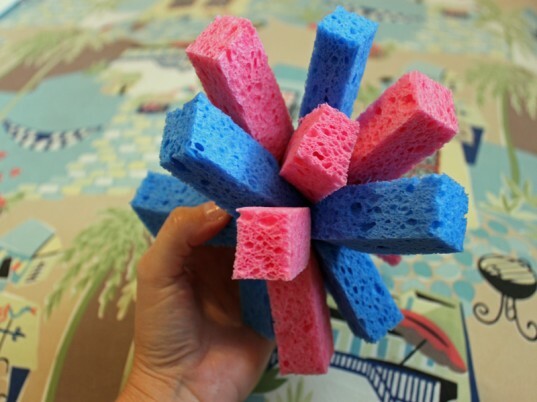 Watch your children delight in playing with these sponge balls in the bathtub or the pool. 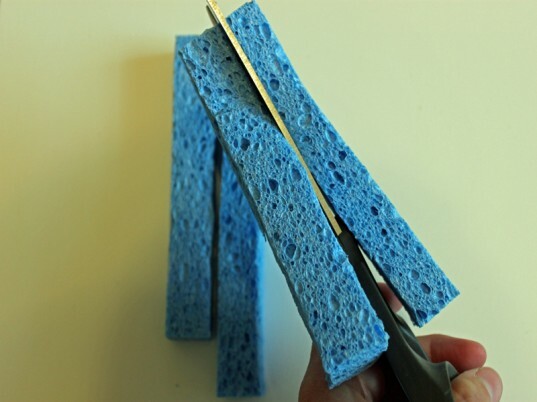 Cut each of the sponges into 6 long pieces - you can use either large sponges or small sponges depending on the size sponge water balls you want.